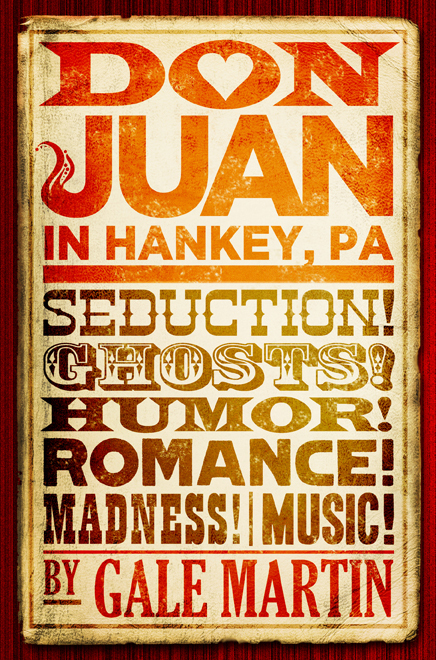 I’d like to welcome Gale Martin as part of her blog tour for her debut novel Don Juan in Hankey, PA. She’s also bought along Deanna Lundquist, the Hankey Guild Chair. 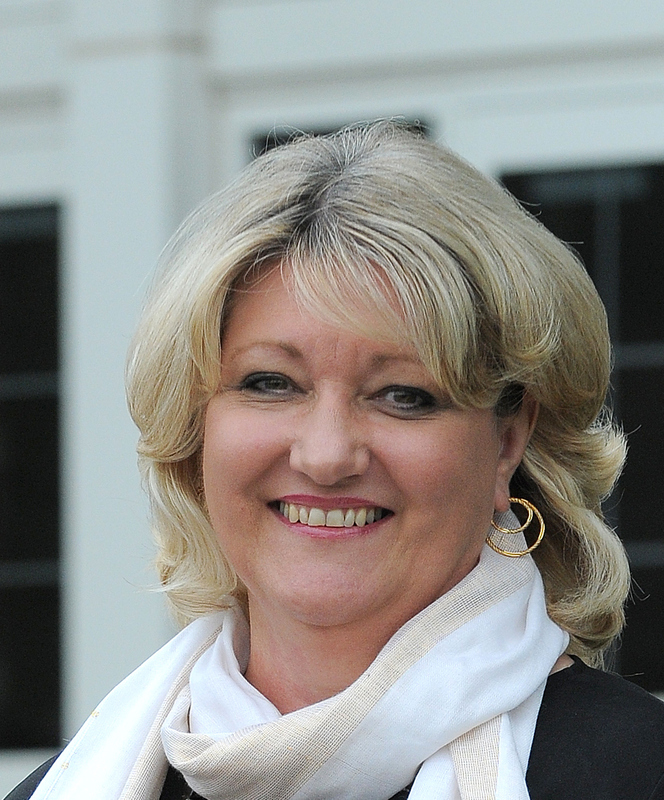 My favourite question to start – Why are you a writer? For no logical reason, Kirsty. Nearly seven years ago, approaching midlife, I had a life-altering experience, and felt the sudden urge to write all about it. After I told that story—my first book (not a very good one), I simply kept writing. When the stories in my head didn’t match the stories and scenes on paper, I realized, not having any formal training in creative writing at that point, that writing required more than sincerity of emotion. So I kept at it, trying to improve my craft. The novel is based around the members of a small town opera guild – how much is based on real people you’ve come across when you’ve been pursuing your love of opera? Most of the people in the book are composites. These characters include shards of real-life folks pre-dating my rather recent interest in opera. People who intrigue me or infuriate me stay with me the most. I was at a writing conference and a middle aged woman was having a rainbow assortment of pills for breakfast while I was having oatmeal and OJ. That stayed with me, so that’s why it’s in the book. Being an opera virgin myself are the bits at the start of each chapter opera related? I have to admit to not enjoying these as much as they felt too ‘telly’ and took me out of the story which I loved, and you are fantastic at showing through the eyes and actions of your characters. Those scene sets were my homage to a libretto of Don Giovanni I found published in the 1800s and also to other libretti I researched prior to writing the book. Sometimes the libretti had these wonderfully florid scene sets like, “The sun, a ball of fire, has just risen over the rolling hills of Tuscany, casting an ethereal glow upon them.” I began to look forward to each new scene set as I poured through various libretti. So they appear in my book because the work was inspired by an opera, and I felt I owed that vestige to the form. I also had a cast list in the original manuscript also inspired by that libretto. The cast list didn’t make it into the book, but I have included it on my website also in homage to these colorful libretti of old (far pre-dating the supertitles we use now) and because I had a blast preparing it. I’ve seen people comment that they liked this aspect so I suspect it’s just my lack of taste but I’m pretty impressed that I made the link to opera (Kirsty). How did you decide on POV? POV was a sticky wicket. Originally, I started out using a narrative we to convey the essence of how a guild behaves and operates. Ultimately, I settled on using multiple POVs to best advance the storytelling. I hadn’t planned to use so many. But early on, I realized I couldn’t tell the whole story from Deanna’s POV. I had to let the reader get into the Argentine baritone’s head or doggie paddle through Jeannie Jacobs’ obsessive thoughts– the spurned lover with the stuck crazy button (the Elivira character from the opera.) Deanna is primary, Richard is secondary, and others just worked there way into the scene. I loved the séance scene. Which scene/s did you have most fun writing? I had a great deal of fun writing that one. One of my undergraduate English teachers claimed to be a medium and a friend and I tried to summon all the dead people we knew around her kitchen table. I also loved Vivian’s last scene with her mother, Leandro’s NY gala episode with Jeannie, and the opening night scene near the end, when all the gothic elements possible in an opera like Don Giovanni fully flower onstage due to forces beyond the guild’s and the director’s control. What do you plan to spend your first royalty cheque on? I’m torn between a really good facial and tropical fish. And a quick fire round. Five words or less. Where do you write? Mostly on sofa from laptop. Do you have a writing outfit? Sweatpants and sneakers usually. Pen or pencil? Keyboard most often. Favourite hobby other than writing or Opera? Deanna, as I’m only on chapter 26 I’m aware you still have a lot of preparation for the opera so thanks for taking the time to come and speak to me. I’m wondering why you were so reluctant to report your attack to the police? It’s just that we really needed to hire a general director—the opera would open in matter of weeks. I really wasn’t hurt after all. Just my pride. I didn’t want anything to take away from getting that general director installed. Our very survival depended on it! You make a great suggestion that the puppyhunt website would be very usefully translated into a dating website where women could pick out their men in the same way. What three pieces of information would be vital for you to know about before selecting a suitor? 1) Temperament 2) Faithful quotient (ability to be faithful) 3) Whether they make good rumaki. How do you really let your hair down? For me, it’s all about spa visits. Love to go to Font-o-Beauty and get a facial, a spa pedicure, or get wrapped in plastic—one session can take off a dozen inches. I’m interested to know which of the women in the guild you are closest to and why? I tend to be a guarded person. Relationships can interfere with my needing to get things done. I tolerate Vivian and Oriane. But I get tired of both of them after any length of time. Why? Precision, beauty, best overture in opera. Tristan, Isolde or Lohengrin? Definitely Lohengrin. Knobby, Richard or Leandro? Leandro. Why? Can’t resist attractive men. How do you deal with a ghost? Same way as people– confront! Huge thanks to Gale (for the ready formatting too ;o) ) and Deanna – good luck with everything. I am looking forward to finishing the last few chapters and posting my review on Goodreads/Amazon/here. Maybe I need to add ‘Attend an Opera (Madame Butterfly maybe)’ to my to do list for 2012. Please leave Gale, Deanna and myself your comments below. Posted on December 15, 2011, in Author Interviews and tagged Don Juan in Hankey PA, Gale Martin. Bookmark the permalink. 2 Comments. Great questions, Kirsty. Deanna wanted you to know she had lots of fun with the quick-fire round and that next time your in the States, she wants to take you out for drinks!